New Smithville President previously served in multi-state, senior executive positions. He previously led up to 1,500 employees and held responsibilities that included the oversight of Frontier’s suite of communication services in multiple states. ELLETTSVILLE – Following an extensive national search, Smithville Communications, Indiana’s largest, privately held telecommunications company, has named Paul Quick its new president of Smithville Communications, Inc. and Smithville Telecom, LLC, according to Darby A. McCarty, Chairman and CEO. Mr. Quick joins Smithville from a senior executive position with Frontier Communications (NASDAQ: FTR), where he last served as vice president of commercial sales in nine states. While at Frontier, Mr. Quick held a variety of senior positions, including serving as senior vice president and general manager for Frontier’s residential and commercial operations in Connecticut and Pennsylvania before being promoted to multi-state responsibilities. In his new role, he will oversee all facets of Smithville residential and commercial operations. He began his new position in mid-November. Before joining Smithville, Mr. Quick held a variety of executive roles with increasing responsibility for Frontier. Just prior to Smithville, Mr. Quick was Vice President—Commercial Sales for Frontier for Northeast, Mid-Atlantic and Southeast states, which included New York, Connecticut, Pennsylvania, West Virginia, North Carolina, South Carolina, Alabama, Georgia and Tennessee. In this executive role, he led a commercial sales team of more than 100 professionals involved in sales of network services, equipment and advanced solutions to small- and medium-sized commercial customers. 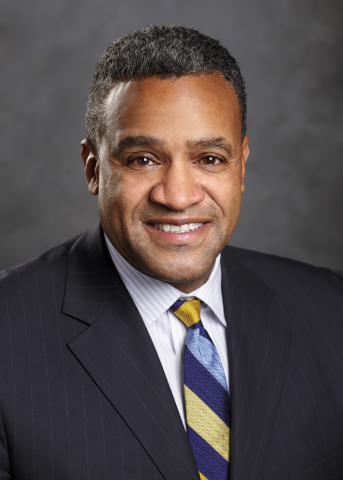 Mr. Quick’s varied executive roles during his six-year career at Frontier also included Senior Vice President of Operations for New York, Connecticut and Pennsylvania (2017-2018); senior vice president and general manager for Frontier’s Connecticut operations (2014-2017), where he played a key leadership role in the conversion and integration of AT&T Connecticut into Frontier; and senior vice president and general manager for Frontier’s Pennsylvania operations (2012-2014), where he led a team of 200 professionals providing commercial and residential services that included voice, broadband and video services. Executive positions held prior to Frontier included serving as president of Paper Magic Group (a subsidiary of CSS Industries) from 2008-2012. Prior to Paper Magic, Mr. Quick held roles of increasing executive responsibility during a successful 25-year career at Hallmark Cards. His responsibilities included overall business strategy and P&L for Hallmark’s focus on the deep discount greeting card industry. Mr. Quick also served as General Manager of Hallmark’s Specialty products, General Manager of Hallmark’s Ethnic Business Unit as well as Internal Audit Director. Mr. Quick previously served on the non-profit boards of the Alliance for Children and Families and The Family Conservancy (formerly Heart of America Family Services) as a board member and board chairman. 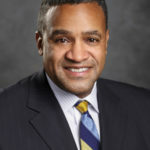 He also previously served on the board of the influential Connecticut Business and Industry Association. He held similar positions of senior volunteer service in Pennsylvania. A native of Kansas City, Missouri, Mr. Quick holds a Master of Business Administration (MBA) from Pepperdine University, Graziadio School of Business and Management (Malibu, California), and a Bachelor of Science in Business Administration from Drake University (Des Moines, Iowa). He and his wife, Avalyn, are the proud parents of two daughters, Amanda and Alexis. About Smithville – Nationally recognized for more than a decade as a Top 100 Broadband Company, privately owned Smithville is Indiana’s largest independent telecom company with more than 200 employees. With an earned reputation as a communications technology innovator, Smithville is presently deploying Fiber-to-the-Premise (FTTP) and other enhanced fiber services to its business and residential customers. It launched its “Best Speed Available” service in 2017, eliminating speed tiers and data caps for its internet service, regardless of platform (fiber or copper). These services, which range up to 100 Gbps for enterprise operations, provide a platform for the fastest connectivity available in Indiana to business, institutions and consumers. In addition to its residential services, Smithville provides commercial fiber-based connectivity, data consulting, network management and managed services for businesses, university campuses, biotechnology companies, healthcare providers, government offices, residential centers, communities and other entities, including the WestGate @ Crane Technology Park and the Purdue Research Park. Smithville also manages a legacy copper communication network in rural south-central Indiana, and a system-wide fiber-to-the-cabinet upgrade has improved speeds and reliability across its copper-based network. The company currently serves about 23,000 businesses and residences in southern and central Indiana. For more information, please visit www.smithville.com.